Only one more week to go until The Ruined People is released on DriveThruRPG.com! You will be able to find it on our little part of DriveThru, and you can CLICK HERE to have a look at what else we have on offer until next week! And if you’ve been looking for something to stuff digital Christmas stockings this year, then we have just the Ruined Christmas for you. Along with the release of the Ruined People next week, we will also be making a bundle of our Runed Age products for only $15. 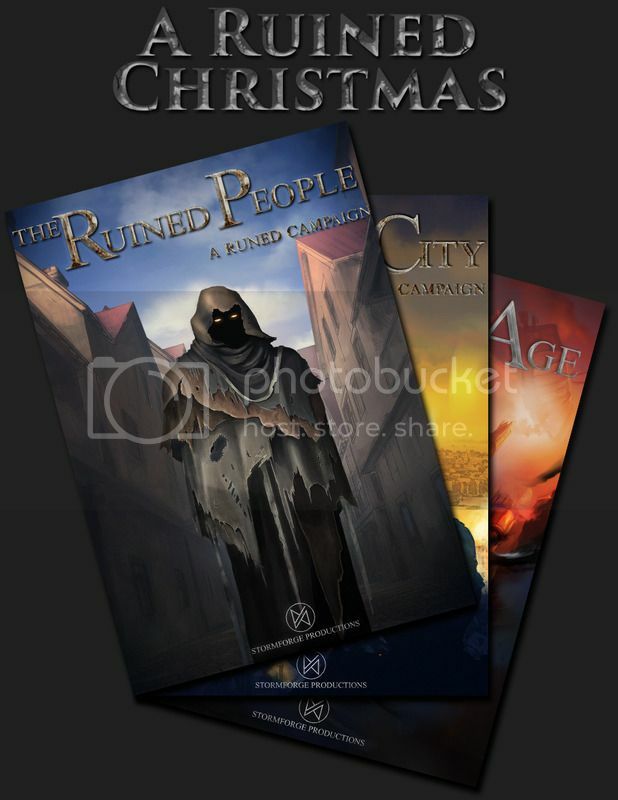 The bundle will include The Runed Age corebook, The Ruined City campaign book, The Ruined People campaign book, as well as The Ruined Souls premade characters and the Runic Array Journal to get you started on your own runed journey.